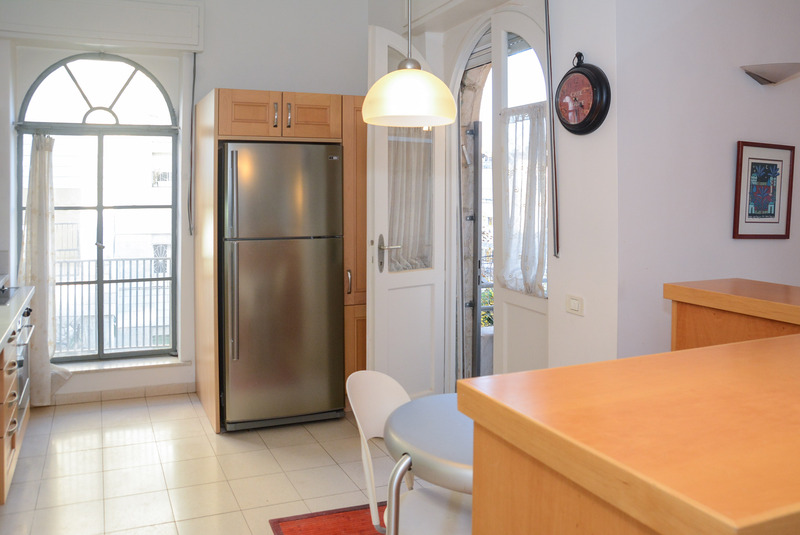 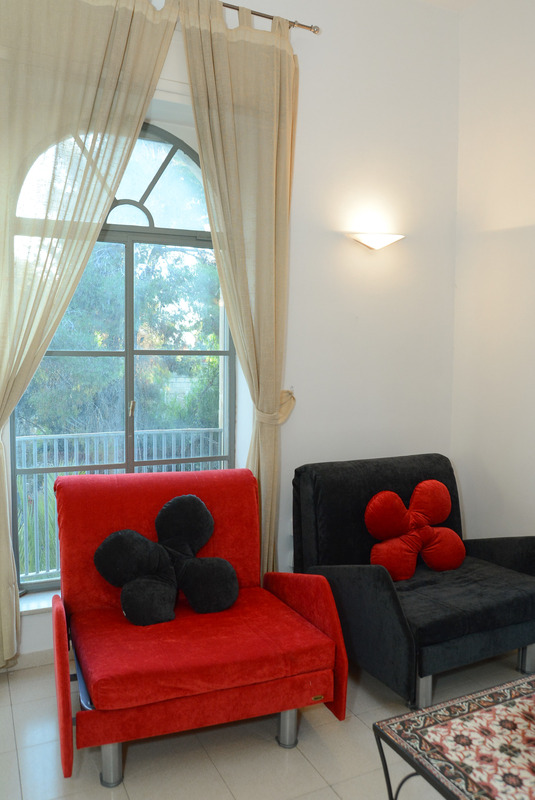 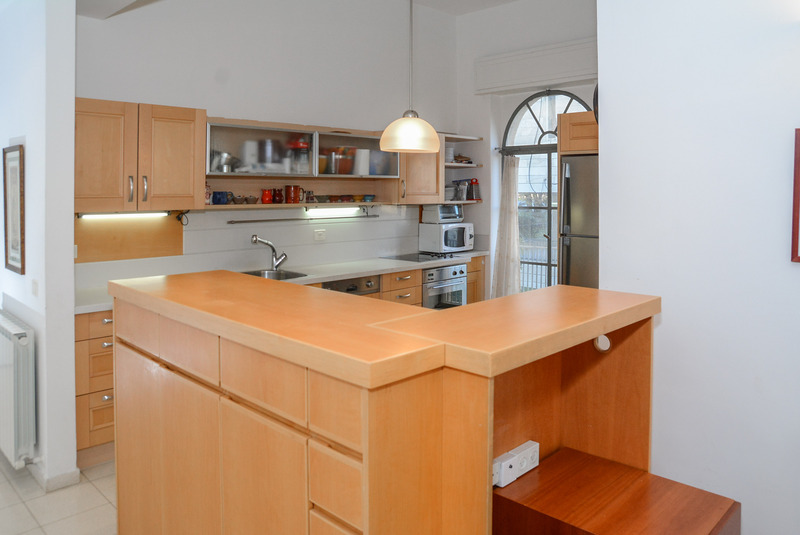 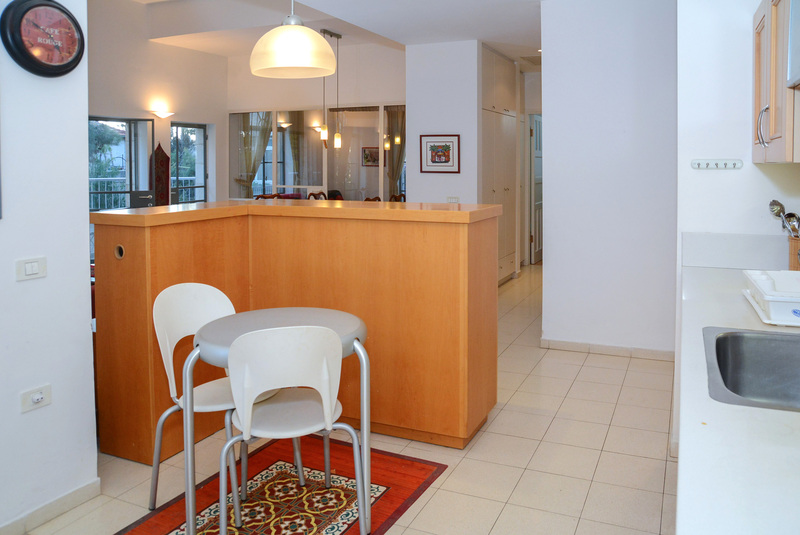 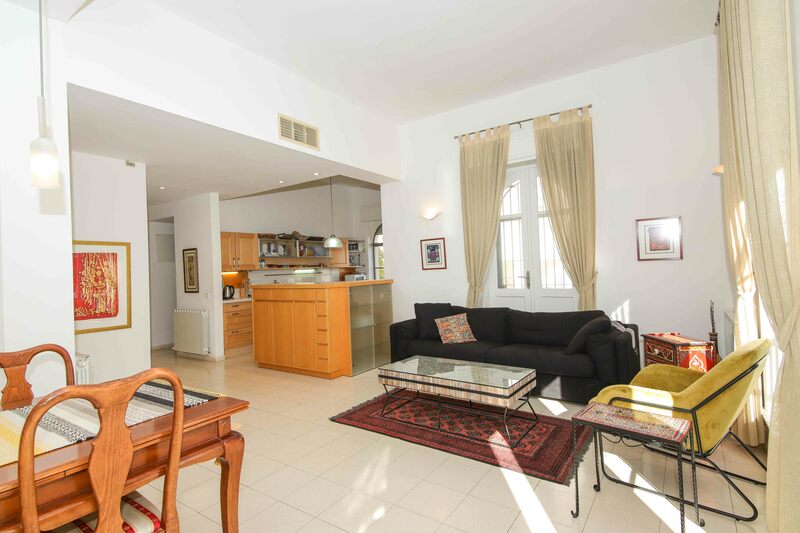 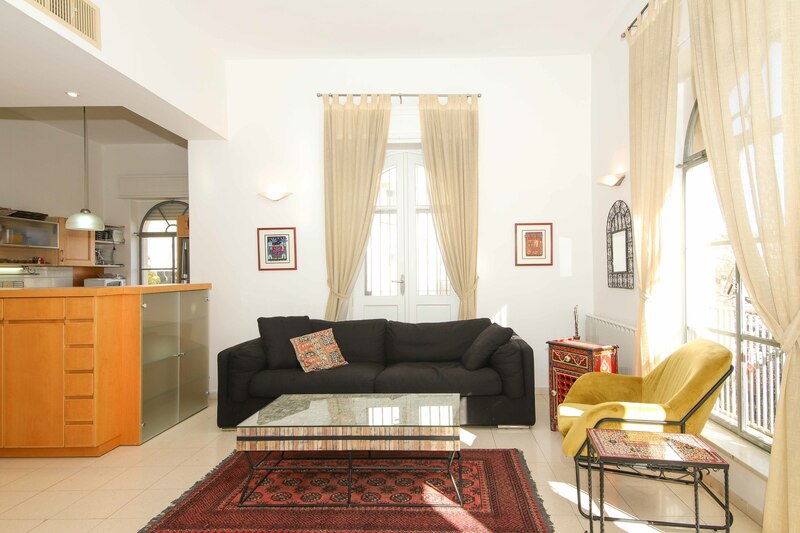 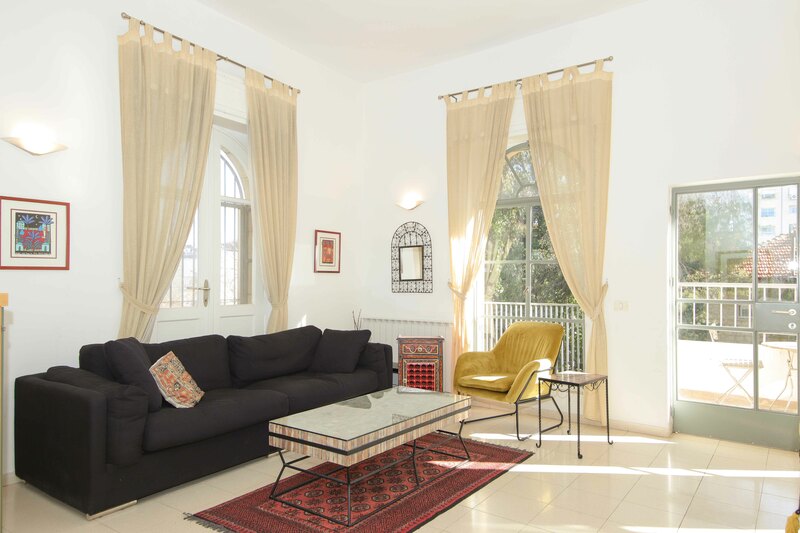 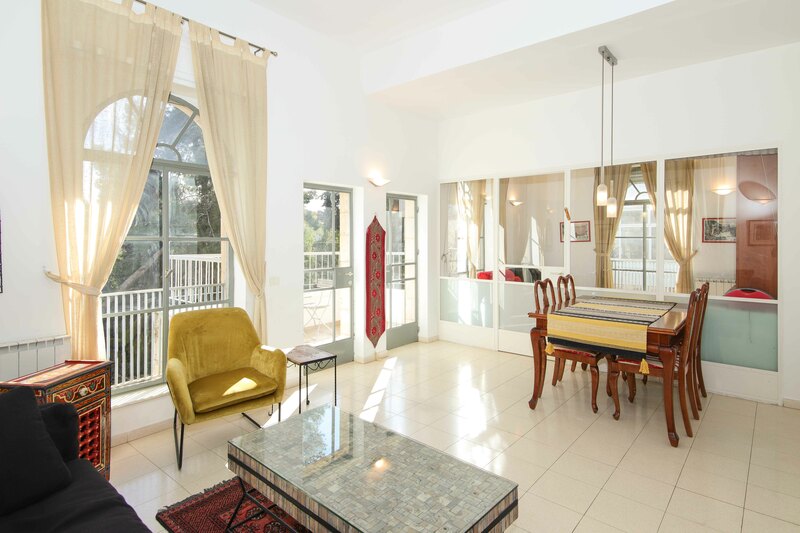 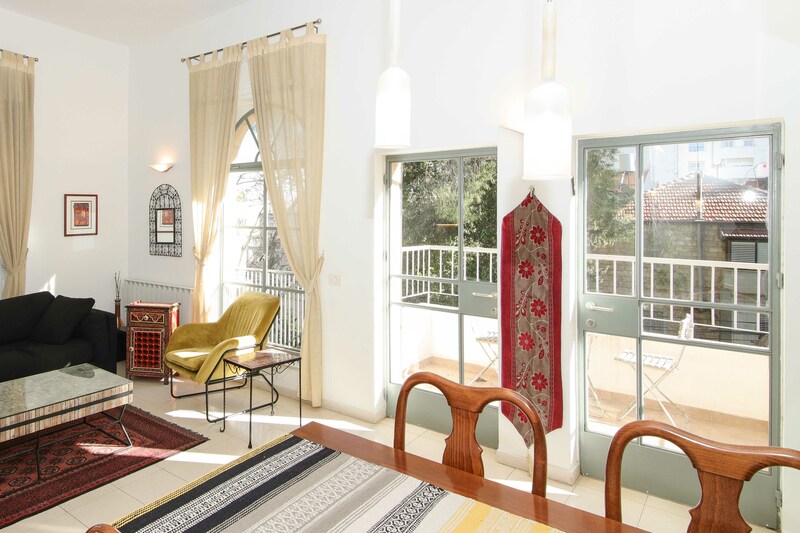 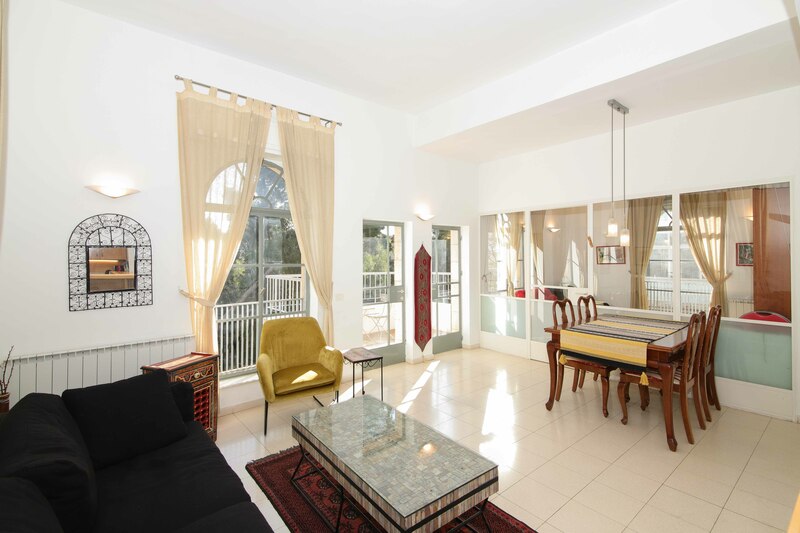 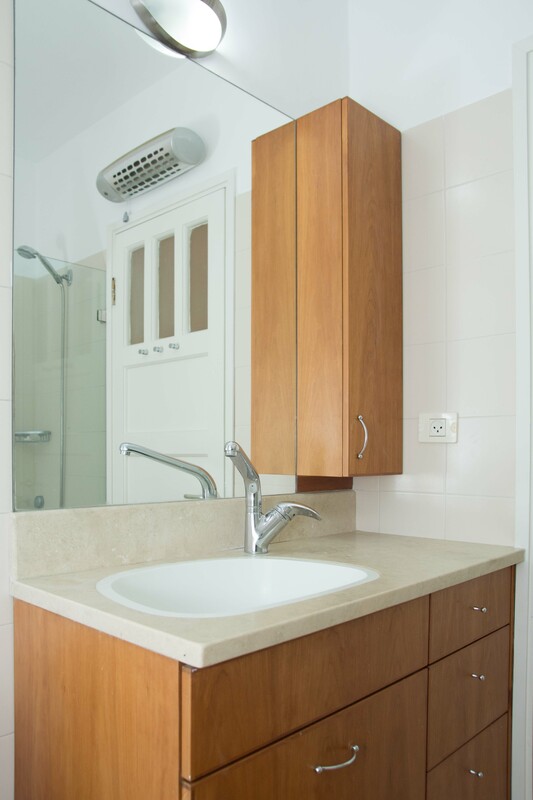 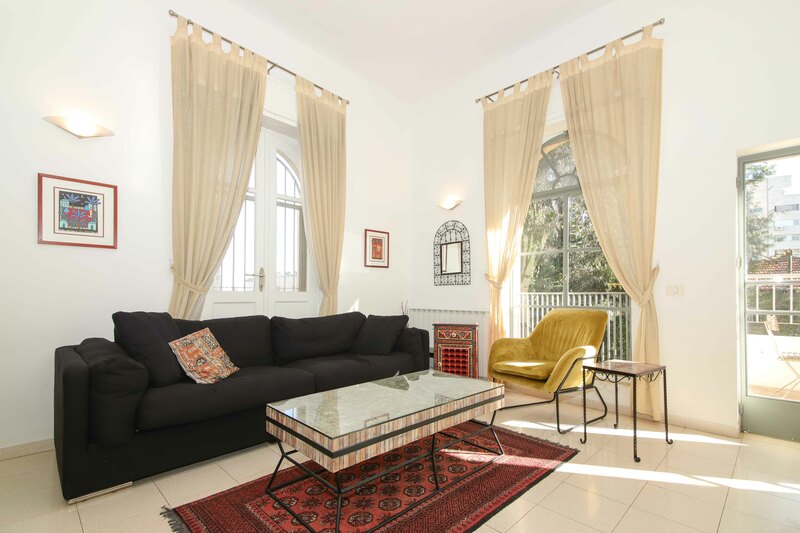 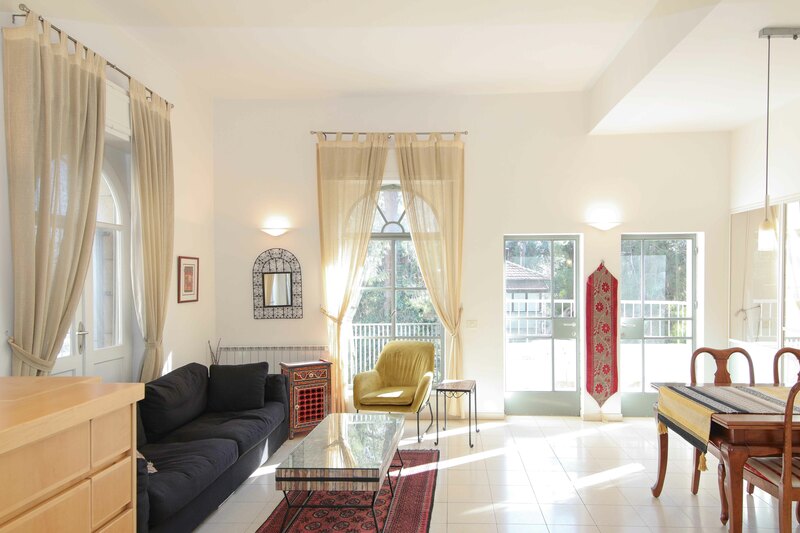 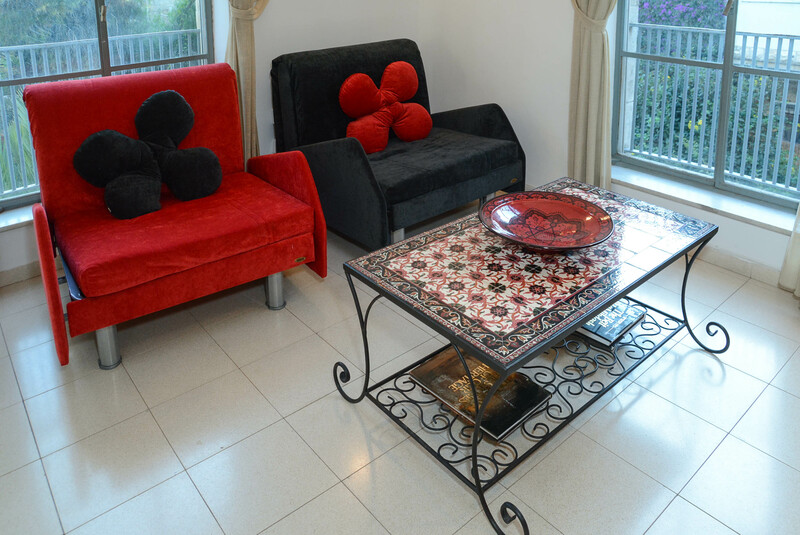 A combination of traditional and modern design, this German Colony apartment provides a convenient and delightful setting for your Jerusalem vacation. 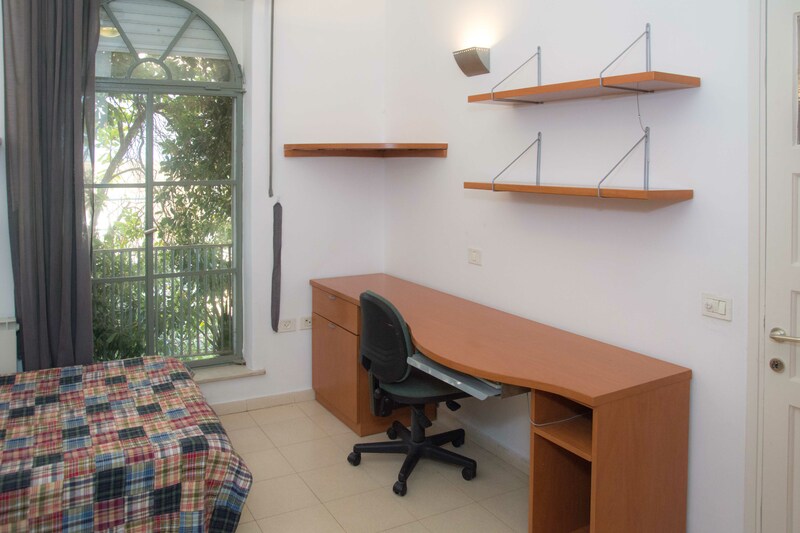 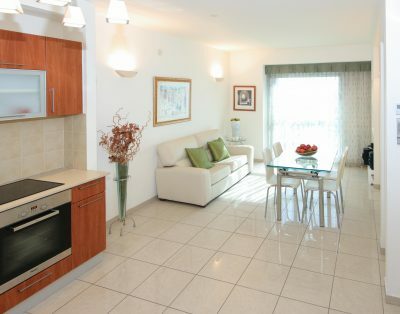 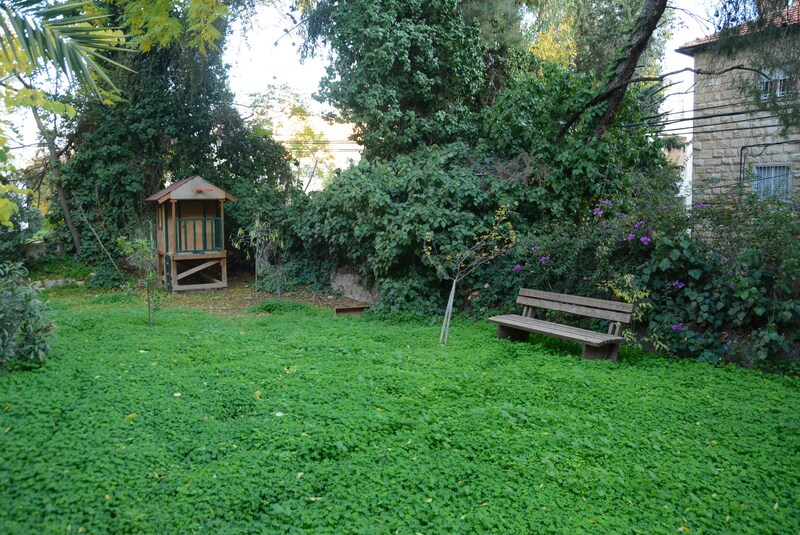 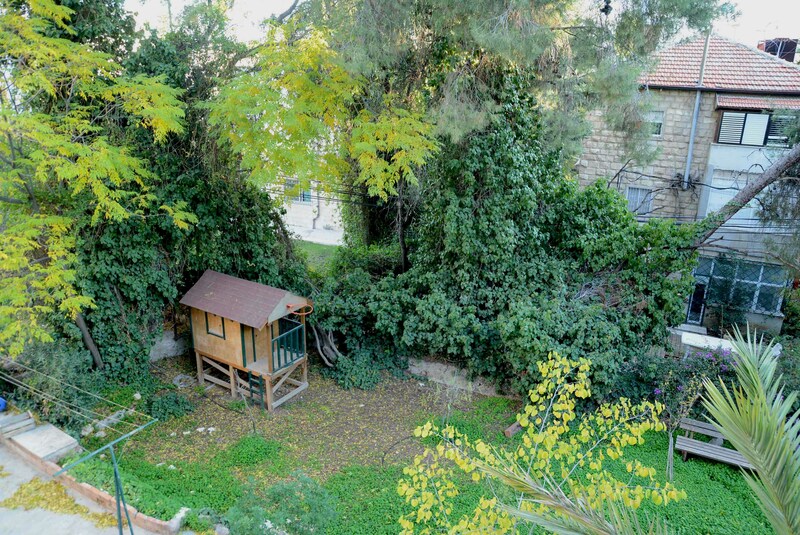 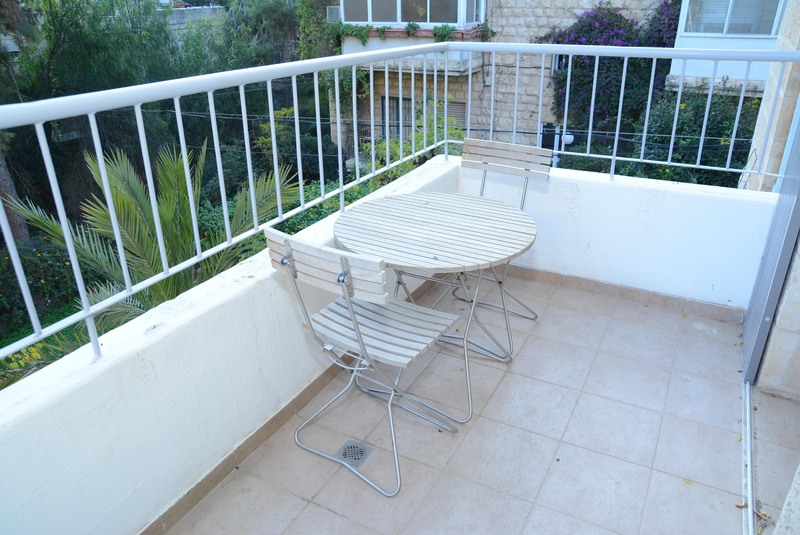 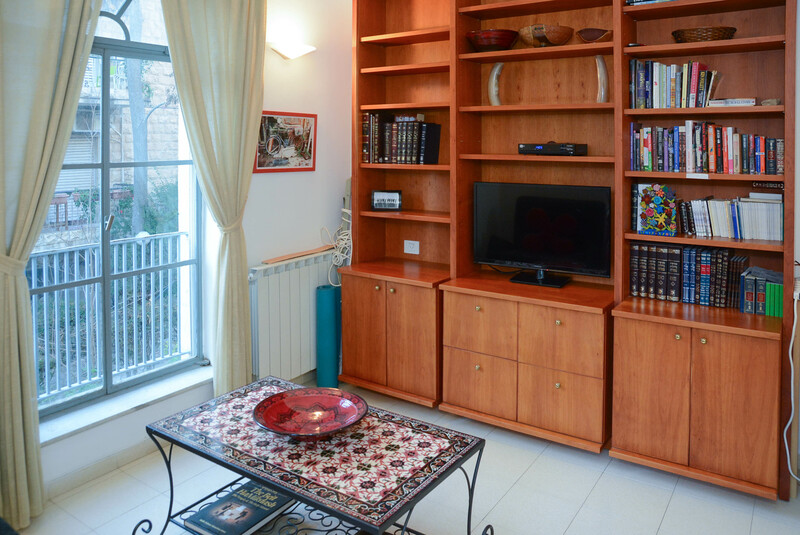 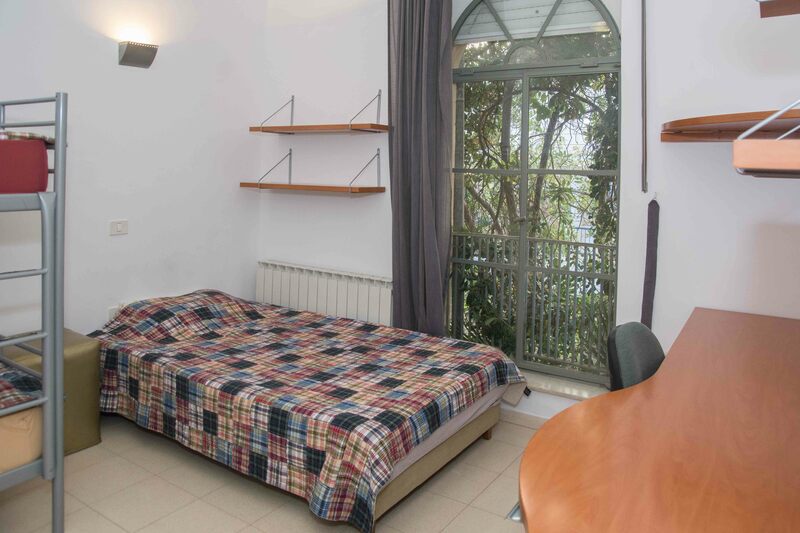 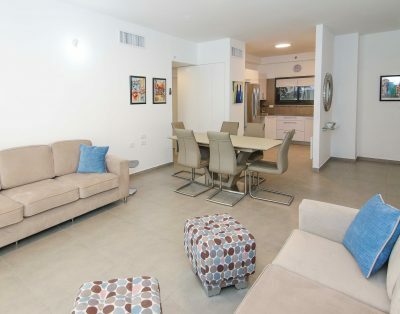 Surrounded by beautiful landscaping, the apartment is around the corner from Emek Refaim Street, a cosmopolitan avenue filled with shops and restaurants. 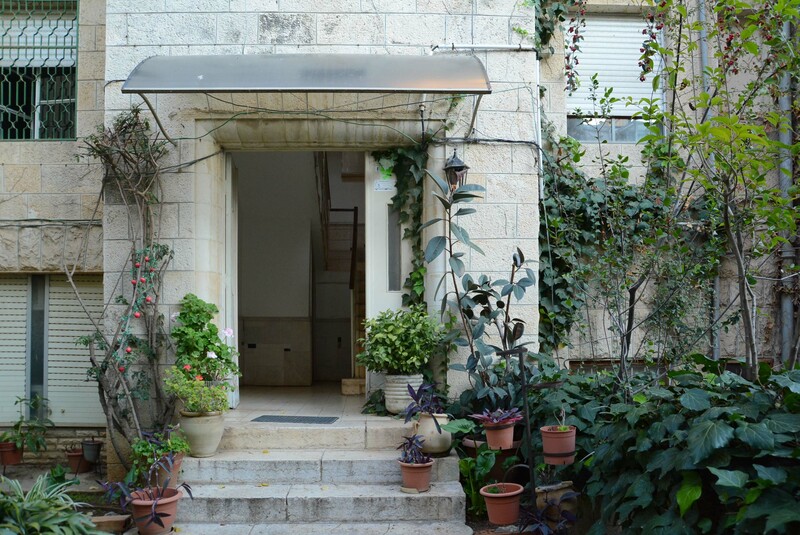 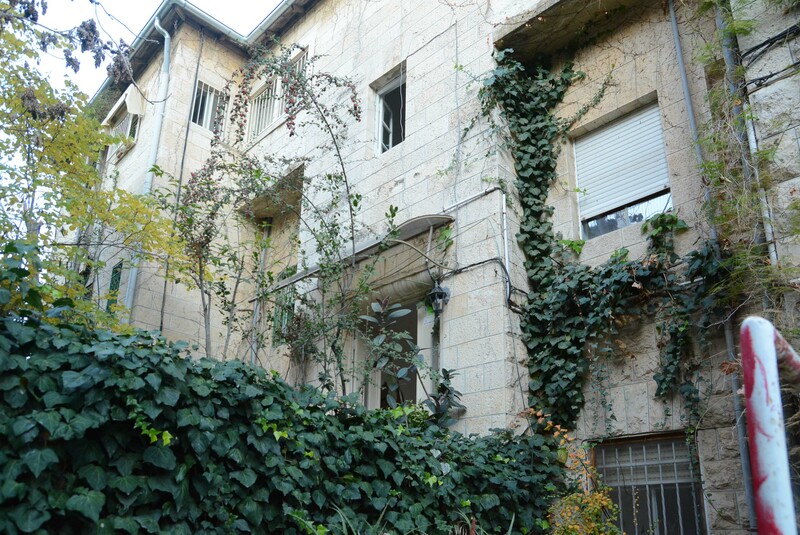 Other noteworthy sites that are accessible on foot are the picturesque alleyways of Yemin Moshe, The First Station – a new Jerusalem market and events center, and the cultural Jerusalem Theatre. 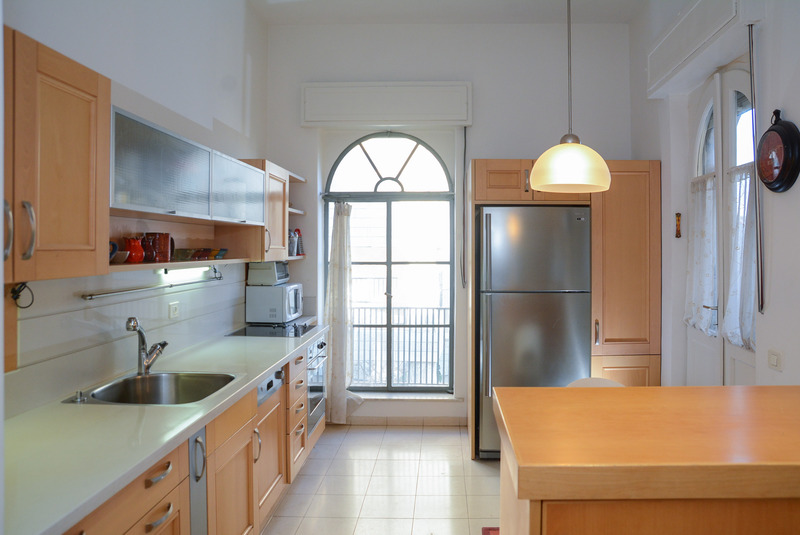 The apartment is filled with natural light that shines in through large arched windows. 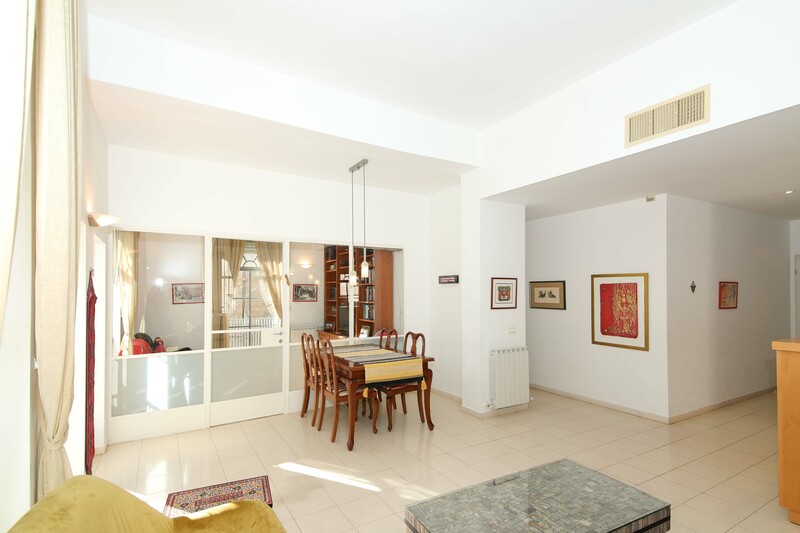 A spacious living and dining room provides a pleasant place to lounge. 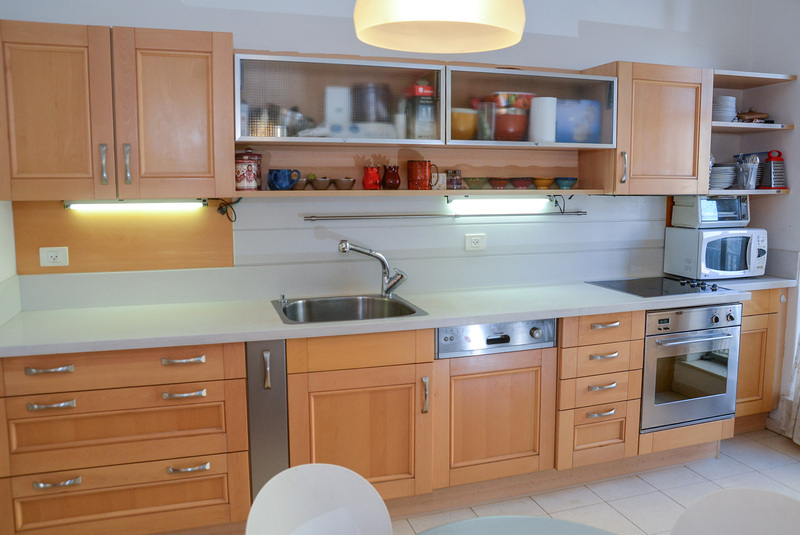 The kitchen is bright and cheery, fully equipped with state of the art appliances. 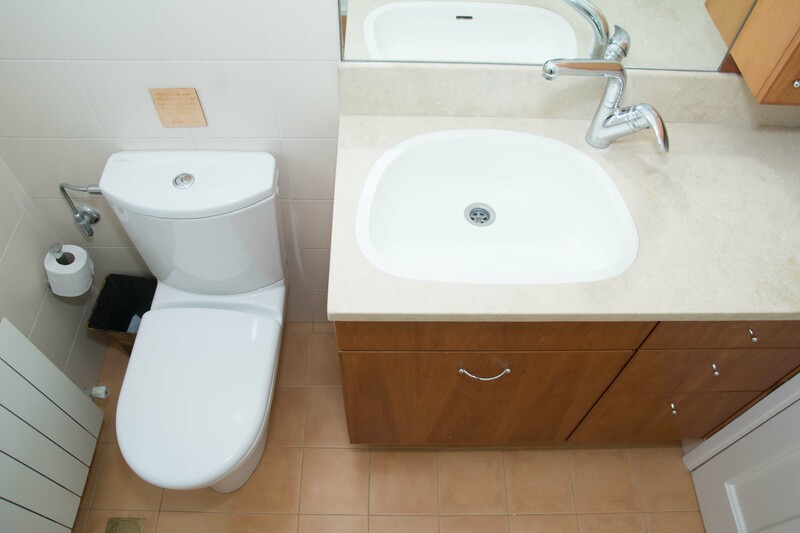 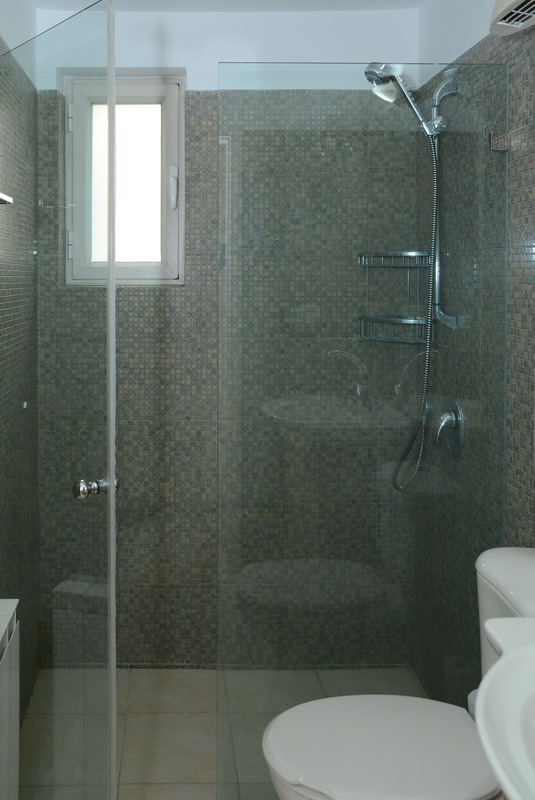 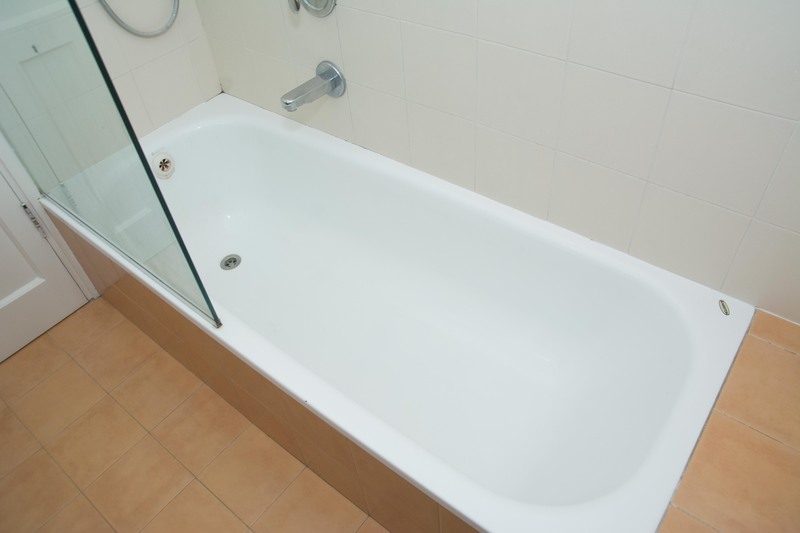 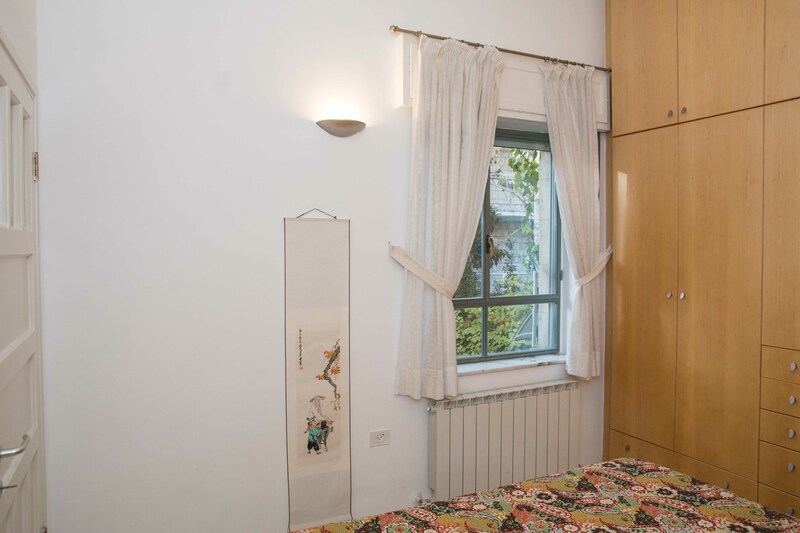 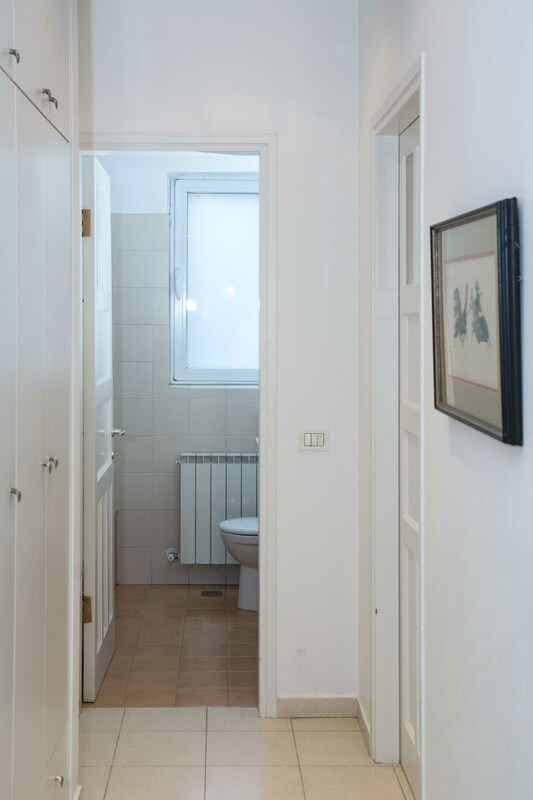 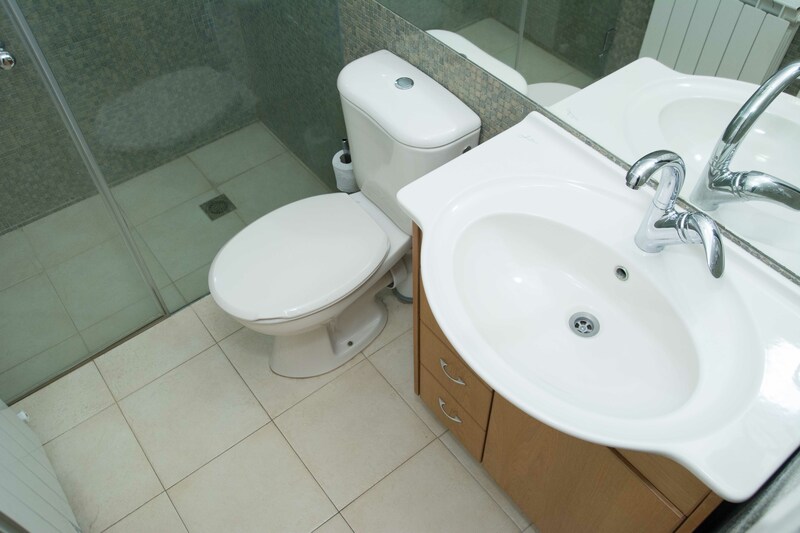 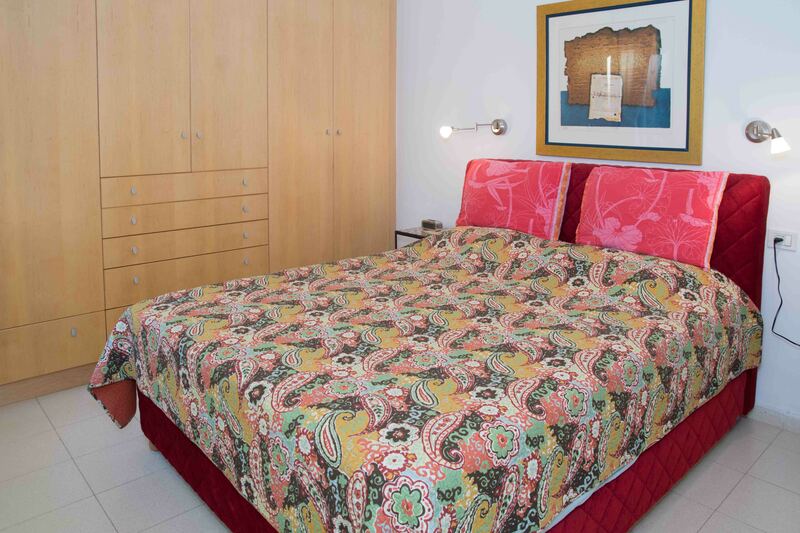 Seven guests can sleep comfortably in this apartment, with three bedrooms and two renovated bathrooms. 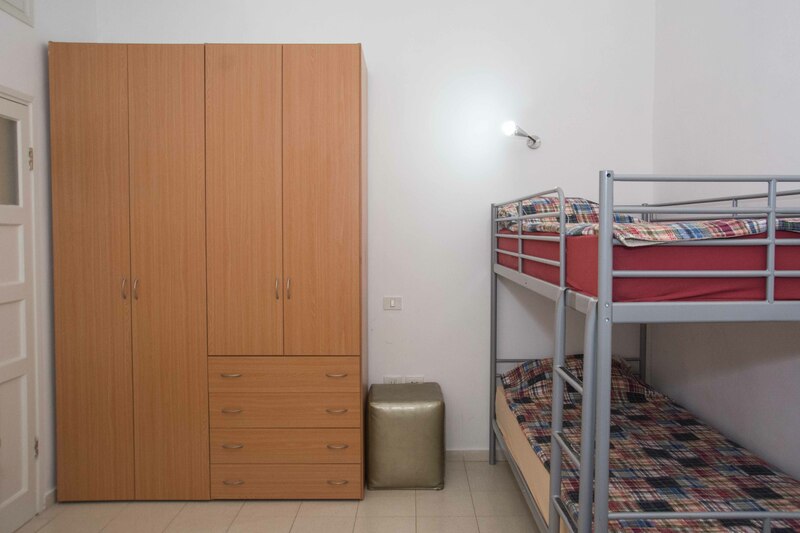 Plenty of closet space will allow your family to settle in for a relaxed stay. 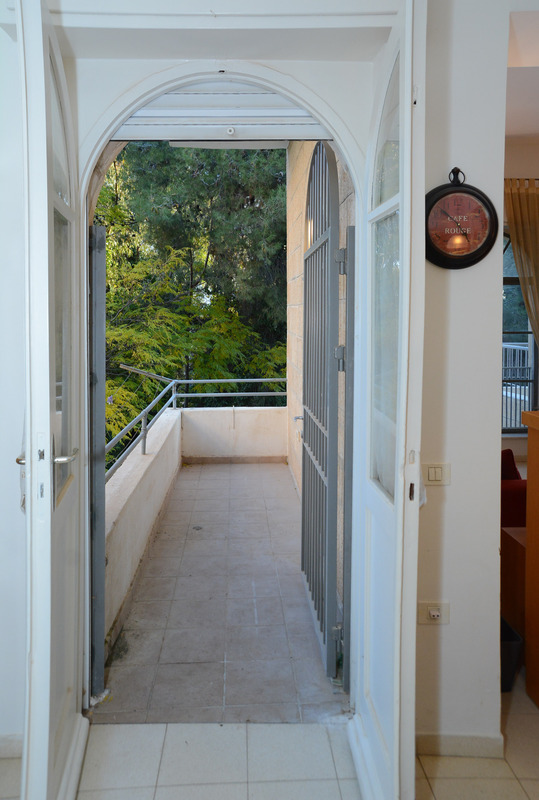 The entranceway and balcony are encircled by lush greenery, which grants a restful feel to your busy days of vacation activities. 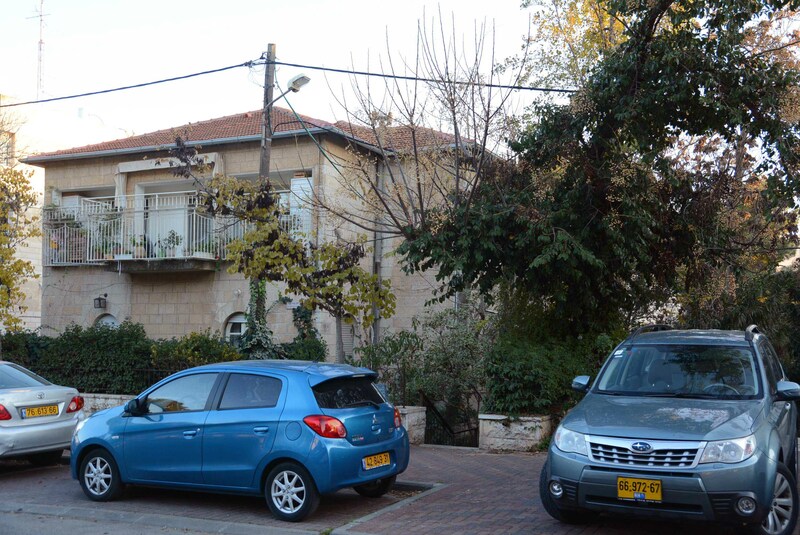 Parking: There is free parking on the street.